Do you have questions about eating disorder recovery that you haven’t been able to find answers to? Ever wish you could ask a whole bunch of people who’ve already been through the process? You’re not alone. 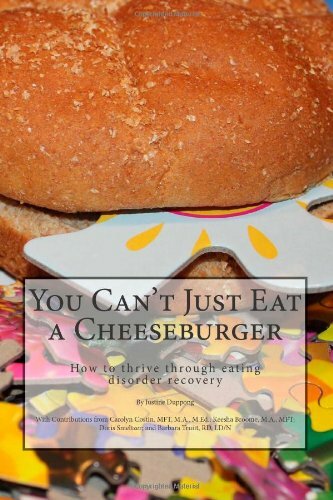 In my book, You Can’t Just Eat a Cheeseburger: How to thrive through eating disorder recovery, you’ll find both expertise from nationally-recognized professionals and tips from over 100 real people in recovery from across the United States and beyond. Available now on Amazon: Click Here to Buy!